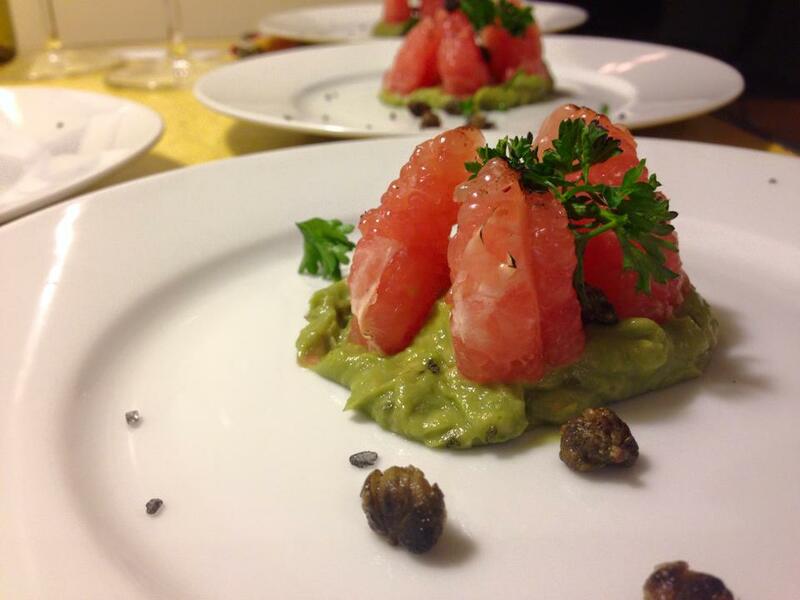 Finally posting a pic from my Oscar night dinner party, you may now behold this delectable seared pink grapefruit on a bed of avocado purée, topped with black lava salt and sautéed capers. The main course was a white wine and olive oil slow cooked pasta vongole with steamed rapini. Mmm! The most exciting part of making this dish for me, was sautéeing the capers. (A trick I learnt from Chef Manouschka Guerrier).They bloom like tiny flowers in the oil and lend an exciting salty crunch to any dish. Try it, today!